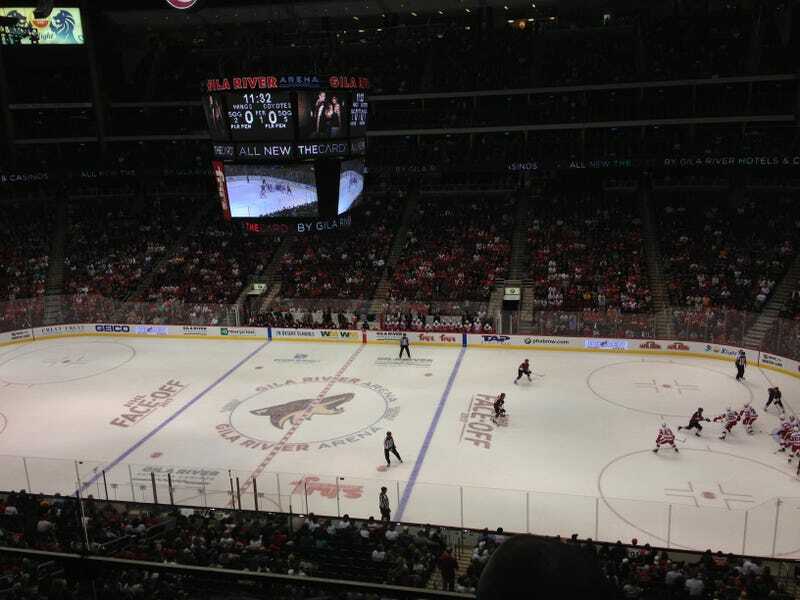 Apparently Arizona has a hockey team. Who knew! I haven’t been to a hockey game in a few decades, and boy are they weird. There’s a giant Canadian flag hanging from the roof.